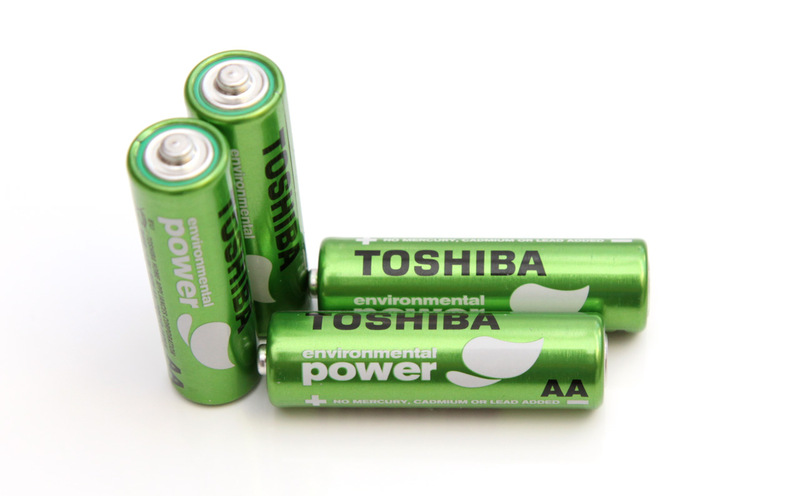 The 1.5V AA Toshiba E-Power batteries are Carbon-Zinc primary batteries and are the third model in Toshiba’s line of such batteries. According to the manufacturer these batteries are supposed to provide 25% improved performance vs Heavy Duty line and while we still haven’t tested the standard 1.5V AA Toshiba Heavy Duty batteries, we have tested the Super Heavy Duty model, so we could compare these to the E-Power series of Carbon-Zinc products. Just a reminder, the Zinc batteries do offer shorter shelf life and lower capacity and are not suitable for high load applications as compared to the Alkaline primary batteries. The Toshiba E-Power batteries we tested here were with an expiration date 05-2015. Time for the tests to start for the 1.5V AA Toshiba E-Power batteries beginning with a low constant current discharge rate of 0.1A and the result we got was 731 mAh as capacity. This is a decent result for a Carbon-Zinc batteries, but compared to the Toshiba Super Heavy Duty batteries the E-Power does provide less useable capacity. Increasing the load to 0.2A and the E-Power still does pretty good, though at 0.5A the performance is not that good already and 1.0A proves to be too much. As expected these batteries do perform well, but are nothing special even for Zinc batteries. They are suitable for low load applications, but not for high load ones where you should definitely consider either good Alkaline batteries or even NiMH batteries. 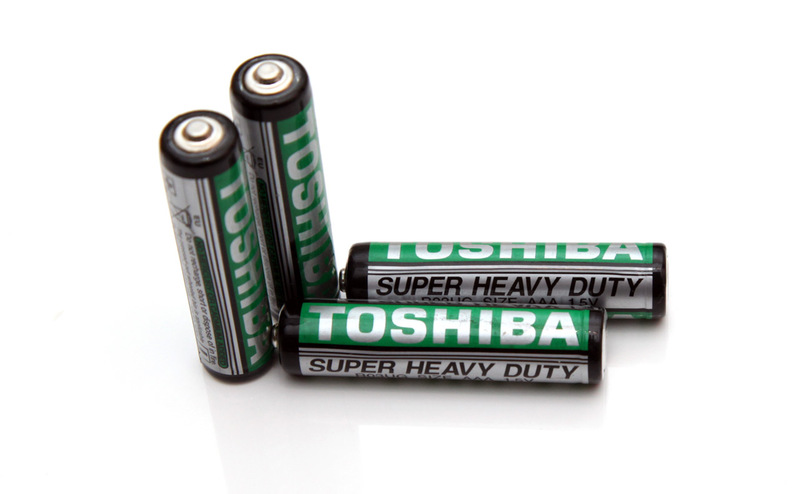 The 1.5V AAA Toshiba Super Heavy Duty batteries despite their good sounding names are essentially Carbon Zinc batteries, though that is not marked anywhere on the batteries themselves and these are commonly found in supermarkets for example. The batteries we got for testing were with an expiration date of 04-2016, so they are supposedly offering a shelf life of 3 years, but what about their capacity. As is the case with Carbon Zinc batteries you should not expect very high capacity, but let us see what these Toshiba Super Heavy Duty batteries can offer in terms of capacity in our tests. We have started the test of the 1.5V AAA Toshiba Super Heavy Duty Carbon Zinc batteries as we normally do with a low constant current discharge rate of 0.1A and the result we got was 320 mAh as capacity, not that much as we expected from a Carbon Zinc battery. By further increasing the constant current load to the higher values we test with and the batteries started providing even less useable capacity, something that is to be expected, but while Carbon Zinc batteres do provide less capacity than their Alkaline counterparts they are also not a good choice for applications requiting more power. Nevertheless we got a decent result for a Carbon Zinc batteries from the 1.5V AAA Toshiba Super Heavy Duty Carbon Zinc batteries. 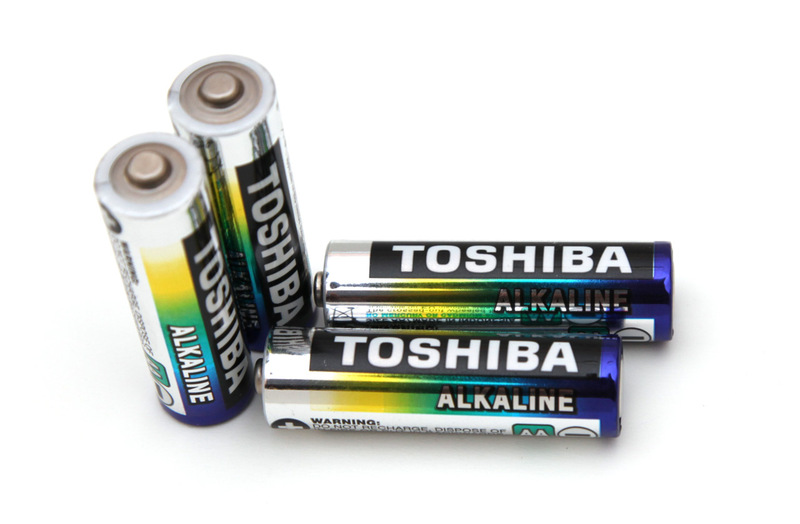 The 1.5V AA Toshiba Alkaline batteries are a standard Alkaline batteries with no fancy naming to tell you they are something special or different than normal primary batteries for single use. In fact these are the Standard Alkaline batteries from Toshiba, though they also have a lower-end Blue Line Alkaline batteries and higher-end named Alpha Power. The shelf life of the 1.5V AA Toshiba Standard Alkaline batteries is supposed to be 7 years and the expiration date of the ones we used for the tests here is 06-2019. According to Toshiba these batteries are ideal for portable radios, handheld computers, pagers, pocket electronic games etc. Surprising we even found something like a specs sheet for these batteries on Toshiba’s website, though it did not mention anything about expected capacity, you can find the link below. We have started the test of the 1.5V AA Toshiba Alkaline batteries with a constant current discharge rate of 0.1A here we’ve managed to get 2467 mAh and that is nothing short of great performance at this level of constant current load. Furthermore going at 0.2A the batteries also performed superb, though at even higher constant current load levels their performance is a bit lower than the best performing models we’ve tested so far. So it seems that these Toshiba Standard Alkaline batteries are great for use in devices with lower power requirements, where they can provide the best performance they can. At lower constant current load these batteries were able to outperform the standard Duracell Copper Top Alkaline batteries, though at higher loads the Duracell performs slightly better.